This set of four wooden painted fairy tale figures is packed with symbolism. Great for your sandtray or for general storytelling. 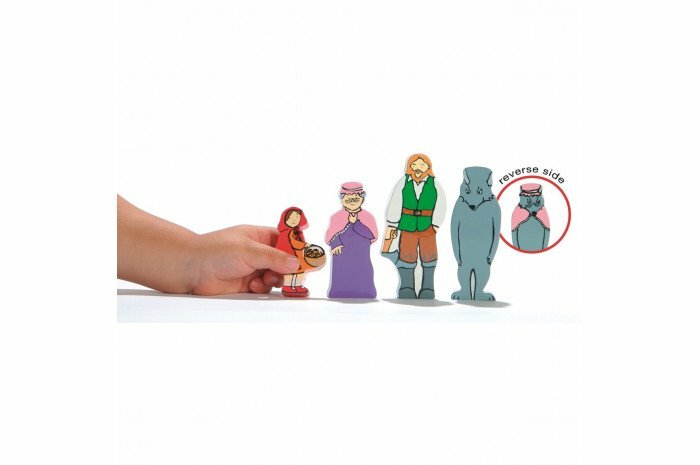 Includes Little Red Riding Hood, the kind grandmother, the heroic lumberjack, and a reversible wolf to play either part. Painted figures measure 2.5" (Little Red Riding Hood) through 4" (the lumberjack).